Many people have said you shouldn't meet your childhood heroes as they are invariably a disappointment. I've never agreed with this and I've never been disappointed. A great moment for me was meeting Colin Bell and Mike Summerbee at the Etihad a couple of years ago. And a few days ago I had one of the most memorable evenings of my life. I was invited by Richard Eccles to speak at the newly renovated Daffodil Hotel in Grasmere to a large group of friends of Cumbria Life magazine, which has just undergone a major design revamp. It's a wonderful magazine full of optimism, hope and inspiration and is very high quality. I told Richard I'd be honored to speak at the launch and cheekily asked as a reward if his prized columnist Hunter Davies would be attending. Richard said he would, and he did. In 1965 I was a young testosterone fueled 15 year old in Lancaster when I read a book called "Here we go around the Mulberry Bush." It later became a song by Traffic and a movie starring Judy Geeson. It launched the 60's (in Lancaster at least). It was written by a Sunday Times journalist called Hunter Davies. I loved the book and still have a psychedelic paperback copy to this day. Hunter then wrote the first official biography of the Beatles and the best book on Soccer ever written, "The Glory Game." He followed this up with a great novel called "The Rise and Fall of Jake Sullivan," which was loosely based on a combination of John Bloome the Washing Machine entrepreneur and all around fly boy, John Lennon and a mysterious third party. Anyway, Hunter went on to greatness and has spent the last 50 years writing novels, ghosting biographies, writing 4-5 columns for national papers every week writing influential columns (including my favorite, Father's Day in Punch magazine) and editing the women's part of the Sunday Times color magazine in the 70's under Harold Evans, one of the world's great editors. Jenny Cooper and Molly Parkin both worked for Hunter. Imagine herding those cats! Hunter came along to the launch and he and I spoke about heroes and afterwards we adjourned to Michael's Nook in Grasmere where we shared a glass of Te Koko and looked at all the 60's heroes memorabilia I have in my home. From there down to The Swan where Hunter revealed his journalistic tendencies by asking me around 300 questions in 90 minutes. We intend to follow-up the conversation at The Groucho in London where Hunter is a founding member. Ain't life grand! Meeting your heroes . . . strongly recommended. Meeting Hunter Davies . . . a dream come true. Out of the recent love-themed TEDx Milan at which I spoke comes a deeply meaningful forum. Robi Damelin's son David was killed by a Palestinian sniper while he was guarding a checkpoint near a settlement during his army reserve service. Robi is an active member of a group of 500 Israeli and Palestinian families who have lost close family members and who work together for reconciliation and a just resolution to the conflict (this is the subject of the much-awarded BBR Saatchi & Saatchi Israel project Blood relations). Adolfo Ceretti Ceretti, professor of Criminal Law at Universita' degli Studi di Milano). Gabrio Forti, (Dean of the Law faculty, professor of Criminal Law of the Catholic University of Milan). Claudia Mazzucato, Criminal Law researcher. Gherardo Colombo, formerly one of the leading Italian public prosecutors and judges, now engaged in the promotion restorative justice and a culture of lawfulness. Fabrizio Caprara, Chairman Saatchi & Saatchi Italia. Instead of channeling it into revenge, the people in our group have chosen another direction for their pain. The pain breaks down barriers very quickly between Palestinians and Israelis in the group. There's a sense of trust. It's not hummus and hugs— it's much deeper than that; it's acknowledgement and empathy, which happen much faster than in a normal meeting between a Palestinian and an Israeli because we recognize each other immediately through the pain." The complete antithesis of the Age of Now lies in the mountains in West Texas near the home of Jeff Bezos. While everyone is trying to meet the immediate needs and impulses of our fast moving society (Jeff included! ), The Long Now foundation is building a 10,000 year clock to change how we think about time and get us talking about the long-term. What does 10,000 years mean for us in our responsibility to the advancement of the human race and the protection of our planet? The clock is scheduled to mark every year, each decade, centuries, millenniums and a tenth millennium. There is a different chime programmed for each day of 10,000 years. If how we communicate fundamentally changes, the “manual” for the clock can be translated into more than 2,500 historic languages – so hopefully someone from the future will be able to decipher it. When you’re building something that is going to last 10,000 years, you’re immediately forced to think about time differently. We don’t know what things are going to be like in the future, but we can get a sense of how much things can change. If you think back 10,000 years, we were in the nascent stages of civilization. We were learning how to domesticate animals, cultivate crops and live in one place instead of wandering the open lands looking for food. Now look at us! Maybe still globetrotting in search of opportunity but our lifestyles bear little resemblance to our forebears. The 10,000 year clock is a project with no known completion date and no fixed budget. Last I read, Jeff has invested about $42 million of his own money into its development. The founders and the board of the Long Now Foundation are a TED Conference in their own right – among them Danny Hillis, creator of massive parallel computing; Stewart Brand, creator of the Whole Earth Review; Kevin Kelly, senior maverick at Wired; musician Brian Eno; forecaster Paul Saffo. I love the craziness of it. Creative ideas that are the result of research respond to a need, but they will never be able to deliver beyond expectation. I have said it before. Most research is not insightful. What we really want is to come across revelation - an astonishing disclosure of truth that will change peoples’ views and transform the conversation. Revelations come in all shapes and sizes. You have heavy hitters like Newton and Hawking, ‘aha’ moments related to everyday jobs, or you could have a revelation about yourself (which can be the hardest kind). For me, the simplest ideas are often the best because they just make sense. Cliff Francis call them ‘Surprising with the Obvious’. You don’t need to be a nuclear scientist to understand why it works. They are accessible, and in that lies their brilliance. Max Little is a mathematician who had a revelation that has changed the way Parkinson’s disease is diagnosed. All it takes is a 30-second phone call to determine unusual tremors in the voice. The success rate of the diagnosis is 99%. In 1867, Joseph Lister came up with his own amazingly simple idea that has saved our lives. A surgeon, Lister decided to wash his hands and surgical instruments with antiseptic solution before treating patients. Commonsense, right? It took him 20 years of tireless advocacy for the practice to be generally accepted. Saatchi & Saatchi Singapore had their own revelation when it came to helping children stay healthy in the Philippines. We all know that kids like to explore, and they don’t clean what they don’t see as dirty – a potential risk to their health and wellbeing. You can’t see germs so why wash your hands? So with Procter & Gamble’s Safeguard, the team made germs visible in the form of a simple stamp. Teachers stamped the hands of their students every day as a reminder to wash their hands, and in just one month, sick days fell by half. Now show me data that could have come up with that brilliant idea. Amongst the media frenzy and concern for personal privacy caused by the recent NSA PRISM scandal, another revelation shocked us all - the ghastly design of PRISM’s PowerPoint slides. It had The Colbert Report wondering why "the organization gathers up massive amounts of information on everything, but graphic design", and The Huffington Post deliberating if the NSA's PRISM presentation slides are the worst ever made. Elimand De Cubber, a visual communication designer, was so offended by the slides he updated nearly every aspect of the presentation, including PRISM’s “dark side of the moon” logo. The reimagined slides economize information and offer clean, uncluttered visuals. “People are afraid of an empty slide… (They) occupy 30% of their slides with stuff that doesn’t convey any information. That’s why I tried to draw a lot of contrast by keeping my slides as minimalistic as possible. Each element must earn its space on the slide,” De Cubber explained. Every 10th household in Switzerland is worth a million or more, and plenty of those households were represented in the audience of the Swiss Economic Forum in Interlaken. Still on camera from the SRF interview the day before, I headed out on stage to be greeted by a large army of men in suits. Women were in very short supply, although one woman had fantastic pink hair and had clearly decided that if she was going to be in the minority she’d make sure of it! I wasn’t in Switzerland to compliment the country on its mountains, grass, cows and clean water but to encourage the Swiss to fail more. Only by embracing the possibility of failure do the big advances come, and it’s time for the Swiss to make some new brave leaps into the future. Bring, Edge philosophy to the center of Europe. Fire up decision-making with creative leadership. Let emotion back to the table, bring the game breakers of passion and inspiration onto the balance sheet. The time is now, rust never sleeps and cracks are appearing in the seams of the Swiss system – unsustainable banking practices, unequal wealth patterns, and huge exclusion in the encircling countries. Most importantly – eliminate Swiss island syndrome. What surprised me was how responsive the audience was. Maybe I hit a chord. Neckties may well have been loosened, and I hope the messages hit home. Congratulations to Stefan and Peter for putting on such a great conference. I’ll be back and I’m hoping for a change of dress code, a better gender balance, and a celebration of the Swiss who’ve acted for change, not just talked about it. You can see the speech here. 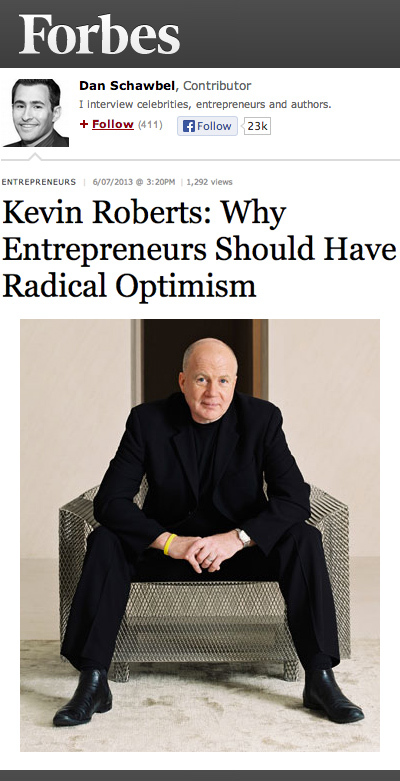 I was recently interviewed by Dan Schawbel for Forbes on entrepreneurship. Dan has a keen interest in the changing nature of work, personal branding in the Age of Now, and is the author of the upcoming book Promote Yourself: The New Rules For Career Success. You could say he’s the Millennial version of Tom Peters(! ), so it’s not surprising that his questions were focused on what it takes to survive, succeed and grow in business. The other key traits that I believe lead to success are focus, commitment and discipline. Choose three things to be good at, and make the decision to become great at them. Deciding what you are good at is half the battle won. To quote another visionary, Edward de Bono, “There’s no point being brilliant at the wrong thing.” Once you have decided what to focus on, improve your performance with knowledge, understanding and empathy. Fine tune your intuition so that you can trust your gut when decision time calls. Then get into it. 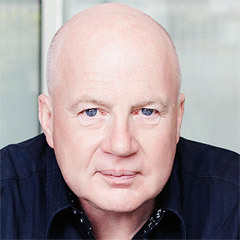 Eighteen months or so ago I received a call from Brian Sheehan, a 25 year Saatchi & Saatchi veteran and former CEO at Team One in Los Angeles, and at our agencies in Australia and Japan. At that time, Brian had largely left the agency side of the business and was pursuing his real passion of teaching. He has been appointed a professor of advertising at the Newhouse School at Syracuse, arguably the top communications school in the USA. Brian wanted to talk to me about Lovemarks. Brian’s perspective on Lovemarks is unique. He has applied the concept in both academia and business, and presented the concept to major clients and seriously tough critics in the form of 18 year old college students. He has been an insider as a leader in our Network, and an external observer. What all this experience had shown Brian was that even though Lovemarks was being recognized as a key idea of leadership in the marketing industry, people were still wondering how to get there! Brian said he wanted to write a book to show how it was done. “Brilliant” I thought, I had already written two books on the subject and was waiting for someone to step up to write the next chapter in this light fandango. I sent a note to the top CEOs in our Network and asked them to share the best stories of clients who had been brave enough to take the Lovemarks concept and make it into a winning reality. For several months, Brian worked through the stories with people from across our global Network, learning their truths and validating results. The outcome is 20 case stories from clients in eight countries featuring many famous brands – Pampers, Cheerios, Camry, Visa, Swiffer, T-Mobile, Lenovo, Safeguard, Nike – and three beers from three continents – Miller High Life, Guinness and Skol. The Saatchi & Saatchi global design team in New Zealand led by Derek Lockwood, Kane McPherson and Blake Enting transformed the manuscript into a publication that surprises and delights (the cover is a “surprise with the obvious” moment – let your fingers do the walking! We’re delighted to be joined again by powerHouse Books of Brooklyn, world-renowned independent art book publishers. This is their sixth Saatchi & Saatchi title. 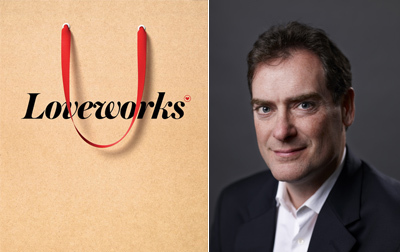 After a period of anticipation, today we celebrate this labor of love with the launch of Loveworks: How the world’s top marketers make emotional connections to win in the marketplace. An official launch event is taking place at the Cannes Lions International Festival of Creativity where we will present the book to our clients and creative community, and Saatchi & Saatchi will be introducing the book in your country through our local agencies. Loveworks has accomplished what Brian set out to do, which was to provide guideposts that will lead brands on their journey to Lovemarks. It is evidence that love works for us. Get your copy today. If you follow this blog, you’ll know of my continued interest in ‘happiness’. ‘Happiness’ is the benchmark against which people measure the success of their lives, and yet, it eludes so many. We all do it differently, but one thing I know for sure is that happiness takes on a different meaning with time. Age changes everything. Looks, ambitions, priorities. We live and we learn…and we learn about what brings joy to our lives. When you’re in your 20s, happiness looks like hitting the town, dancing till you’re a sweaty mess, and searching for a kebab at 3am. Later in life (for me anyway), it’s a late night sing-a-long with your mates, or spending time with your grandchildren. This shift in what we perceive as happiness is the result of something called “promotion motivation.” When we’re young, we’re interested in improving our status in life. Our promotion motivation is at an all-time high. We’re looking to get bigger, better, richer, faster. When we’re older, this motivation decreases and we’re interested in enjoying and hanging on to what we’ve got. A study of 12 million blogs illustrates this change. Young bloggers used words like excited, ecstatic, or elated to describe the feeling of happiness, while older bloggers used words like peaceful, relaxed, calm, or relieved. One is not better than the other, but the key is to recognize that in order to be happy you need to be open to change. And always remember, you only get old when regrets replace dreams. I spent a day last week in the idyllic Swiss town of Interlaken, staying at a lovely hotel overlooking the Jungfrau, the sun was warm, the skies were clear, and the watch stores were packed with tourists seeking the iconic high-end Swiss product – the Swiss watch. Chocolate shops were packed too, and parasailing into the huge park in the middle of the town seemed to be very popular. In town for the Swiss Economic Forum I had been invited by the SRF, the Swiss national broadcaster to examine Switzerland up close for their 10 vor 10 nightly news show. Having lived in Switzerland for 7 years, they were interested in what I thought about Switzerland now, and why I’m on record as saying it’s not creative. So we hit the streets of Interlaken to see Swiss creativity in action. We didn’t get too far before we hit a supermarket laden with a massive cubed display of toilet rolls! Mystery, Sensuality and Intimacy it was not. In this VUCA world, no country can afford to rest on its laurels, and although Switzerland feels good, it needs to make sure the future is brighter than the past. Supermarkets are a good place to start. How long can inflated prices for brands available in neighbouring countries at a much lower rate last? How much will people pay for bio/organic food? Why can’t you shop at 11pm or later. Why do the Swiss allow CHF2 billion worth of grocery shopping to be conducted over the border in Germany, France, Italy? What’s with the muted tones in-store? Where do the kids play? What is the sound of shopping? How about the reliance on concrete and steel in design? How can Swiss be friendly as well as polite? The enemy of great is good – and Switzerland is reliable, robust, precise, understated, stable, tolerant, blissful, egalitarian. That’s all good! Food trucks, foam, farm-to-table - these are all trends that have influenced what and how we eat over the years, but while some are going strong, others are fading away. Fortunately, there will always be new innovations to keep us eating. Here are five that you may be soon seeing on your plates. Food fusion: If you haven’t heard of the cronut, it’s the latest craze amongst foodies. Part croissant, part donut, it’s got aspirations to be the next cupcake. Printed food: It’s probably still a while away before you’re serving dinner from a 3D printer, but scientists are working on it. You could even be printing food that has nutritional values just designed for you. Bugs: I don’t know how I feel about this, but the UN is promoting the eating of bugs as a great means of protein and other nutrients. If you’re in New Zealand, you can try a huhu grub at the Wild Food Festival. Petal pushers: Following from bugs, it seems like we’re be seeing more from the garden. Edible blooms are in, and they’re not just beautiful, they’ll add texture to your meal. The whole hog: Yes, they will serve you the entire animal, head to tail. Sometimes served one way, and in other instances through a variety of dishes. No need to waste, so I hope you won’t be planning to eat alone. It used to be associated with rock ‘n’ roll, but gone are the days of irresponsible abandon at music festivals. Nowadays, ticketholders to festivals like Lollapalooza and Bonnaroo are more likely to recycle their rubbish than litter the grounds. No empty cans strewn around, please. It’s all about being sustainable. If anyone is going to suffer a hangover from all that music, food, and festivities, it better not be the environment. Outside Lands Music and Arts Festival in San Francisco is one event trying to raise the bar, and Nayelli Gonzalez from Saatchi & Saatchi S recently wrote about her experience of working with them at one of our Lovemarks Academies. In the face of being fired, the recalcitrant MBM, as he is known in Pentagon circles, quit and formed his own group in direct competition with his former employer – unfortunately with deadly effect, claiming responsibility for attacks so large they rivaled the biggest operations undertaken by al-Qaida on the continent. Not since the quintessential book The Mafia Manager: A Guide to the Corporate Machiavelli have the inner workings of an criminal organization been laid so bare. It’s reassuring, though only marginally so, to see that those who do us harm experience from time to time the same issues as those who do us good. What gets my media eye every day is Business Insider, an intelligently curated blend of breaking news, big picture macroeconomics, Wall St and tech analysis and surprises, media, social and cultural trends, climate change, gossip, travel, ephemera and lots of lists. It tipped Tesla shares the week before they rocketed 40%. From New York’s Silicon Alley legacy, Business Insider utilizes the same headline device eg 12 Disruptive Technologies That Are Changing The World/a potential $33 trillion/year impact by 2025 – as the lower rent Buzz Feed eg 15 Reasons Why Dylan McKay Is The Perfect Boyfriend. Jeff Bezos was a recent investor, so if you are a conspiracy theorist, you know always to “follow the money.” Business Insider is sometimes profound, usually irreverent, often funny, frequently useful, always on the money. It’s a flavor and speed of journalism should be giving the media majors heartburn. In its annual selection of the world’s most creative people, Fast Company has put together a list that includes technologists, data geeks, rappers, architects, and artists. There’s even a comedian in there. It’s not a list of big names, but collectively, their work has influenced and changed the way we live. Their professions bear little resemblance, but you’ll find commonality in what they preach. Here are five that inspire action. Simplify. Google Maps had so many features to offer, Daniel Graf (#5), Director of Google Maps for Mobile, decided to eliminate the menu. But direction and clarity is supposed to be great, right? Not if you can offer intuitive usability. Daniel’s choice to remove the obvious forced his team to look at their product in a new way. Change the conversation. Artist and provocateur Ai Weiwei (#16) is under constant monitoring from the Chinese government. But that doesn’t stop him. When they set up surveillance cameras around his home, he did the same. Weiweicam.com keeps the public in tune with what he’s doing. His art is for them. Create the Now. Maria Mujica (#27) taps into the zeitgeist and creates events and promotions for Mondelēz that make people ask: Can I see it again? Can I share it? and How can I make it better? Add fun. Alli Webb (#35) created a multi-million dollar business selling blow-dries. "I was adamant early on that we're a bar, not a salon…We're more fun,” she said. Music, cocktails, entertainment. It’s like hanging out. Who doesn’t want to do that? Know what counts. You can dream big, but if you don’t know what counts then it’s meaningless. Architect Peter Marino (#60) knows that in retail, experience is key but sales are where it counts. At Louis Vuitton in Tokyo, he added hidden cash registers so no one would need to wait to make a purchase. Is youth unemployment the real apocalypse? Jobless youth are being compared to global warming. A problem at risk of being put in the “too hard” basket. Look at the figures and you can understand why. In Greece and Spain, the unemployment rate for people aged under 24 is nearing 60%. In Italy and Portugal, that figure is closing in on 40%. Identifying the causes of youth unemployment is much easier than coming up with the right responses. This is a problem for individuals, their families and communities. There is no universal solution. With surplus money running dry in the worst hit countries, and with the battle lines laid out between political hues, there are no easy answers. The question is whether there are even enough jobs in the world to match population growth. We are at risk of watching a generation become disconnected from society because of the lack of opportunity for them to contribute to the growth of society. There is no escaping the fact that countries with the lowest rates of youth unemployment have the strongest economies. And at the heart of those economies is education. Sing together. Singing keeps your spirits up, elevates parts of you that don’t often get to rise up. And you could be a YouTube phenomenon. ometimes life just bursts into bright colour, and you find yourself as fascinated as a child, an instant fan, a willing convert to a brand that appeals to all your senses, as well as your reason. This happened to me last week, and no surprise it happened in Brazil, a country that oozes Mystery, Sensuality and Intimacy on a tropical scale. No surprise also that it was great Brazilian born company that captured my heart – Melissa shoes. The venue for the conference was the celebrated Costa do Sauipe in Salvador de Bahia, however, initial impressions were a little ambiguous. The hotel had certainly seen better days, weather was humid and overcast, communications to the outside world were patchy. I was wondering what I was in for. The only thing for it was to check in and hunker down to some work. The next morning was brightness itself. The sun was shining, and the conference room was filled to the brim with 300 passionate, energetic, positive Melissa shoes people from Brazil and right around the world, all in Salvador for their annual conference. There was a communal spirit in the air, positivity and genuine excitement. I felt right at home immediately. We spent an hour and half spurring on each other, I could feel ideas fizzing everywhere. The mood was unlike almost every other annual conference I’ve seen. I liked it so much I hung around another day, despite the hotel! Thanks to Paulo Antonio Pedo Filho for inviting me, and making sure all attendees had a copy of Lovemarks. Melissa is a longtime Lovemark in Brazil, and representatives of the best of Brazilian culture. Their company is a fantastic example of entrepreneurial spirit and charismatic brand building. Best of all, they are Lovemarks people at heart. It’s a huge buzz to speak to a group of people who intuitively “get it”. My daughter is a huge fan, and if you’re not a convert yet, you soon will be. Melissa shoes are not like any plastic you will have seen before. They are rule breaking. Adventurous, creative, colourful. They capture a sense of adventure, and provide a playground for ideas. Designers such as Karl Lagerfeld, Jean Paul Gaultier and Vivienne Westwood are among many of the first rank of designers to have lent their talents to designing Melissa Shoes. The brand and the dream continue to grow – a Zaha Hadid designed concept store is opening in February in London’s Covent Garden, to complement the New York Soho store that’s already open. More is to come across Asia and the rest of the world. Melissa is a Brazilian Lovemark on a journey to worldwide Lovemark status. There are already 4000 points of sale in 70 countries. The best is yet to come. It’s inevitable, because Melissa shoes, Melissa people, are irresistible. With 17 billion pairs of shoes produced in the world last year, Melissa’s relevance has never been greater. Thanks to all who attended, I can’t wait to see you again. I thought my capacity for surprise was pretty exhausted until I received two letters last week, one from the Governor General of New Zealand Sir Jerry Mateparae and the other from the Prime Minister of New Zealand John Key. They were writing to inform me of my appointment as a “Companion of the New Zealand Order of Merit in recognition of services to business and the community.” Blow me over! The award was announced in the Queen’s Birthday Honours over the long weekend in New Zealand. Fundamentally I'm stoked. I was kicked out of school when I was 17 and didn't benefit from the university education I was hoping for...so to actually get out from that unscathed and make it, was rewarding enough. I've always been aware of how lucky I was to have been helped and mentored along the way. I've tried to live my life the same way, helping kids and young leaders in their struggle to be the best they can be – in business (which is all I know) – so it's brilliant to be recognized by the country which has been my home since 1989 for doing exactly that. 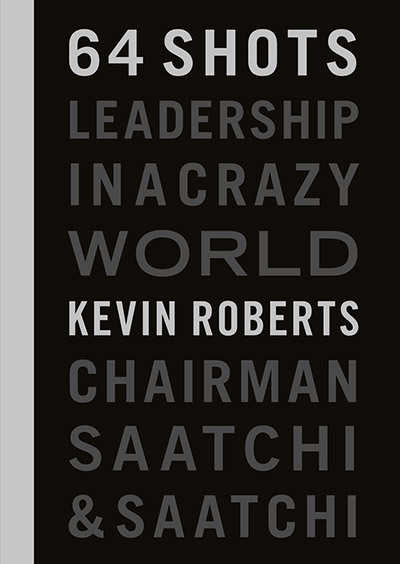 I never ever dreamed this would occur but at Saatchi & Saatchi we believe "Nothing Is Impossible". I guess the honor proves that. I'm driven by all things New Zealand. I love its 'can do' attitude. I love its competitive spirit. Its focus on creativity and ideas. "Winning the World from the Edge" is my take on New Zealand, and I've tried to help everyone I can contribute to this Dream. I'm proud to have helped TYLA, the Turn Your Life Around Trust - help turn hundreds of kids lives around. Just as a few good men (and women!) helped me turn my life around. And I'm even prouder that my youngest daughter Bex is carrying on this work to help young New Zealanders achieve greatness. This is a time to acknowledge my family, friends and colleagues for their love and support on the journey. A shout out to fellow Companions of the Order, Steve Hansen and Sam Hunt. The All Black coach and the bard from Battle Hill will be fine companions. And to acknowledge two friends who were recipients of the CNZM, visionary business builder Lloyd Morrison and All Black captain and rugby maestro Jock Hobbs. Thanks New Zealand. My home is here. I'll never leave. My work is everywhere, but my heart is here.